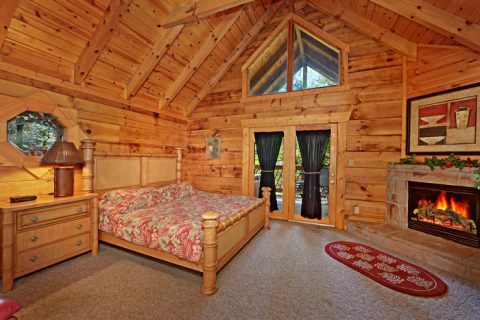 Gatlinburg's "Lovers Lane" rests conveniently in Mountain Shadows Resort. 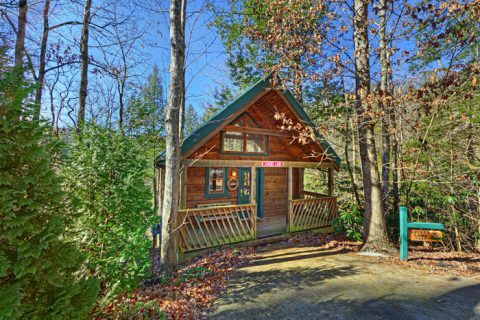 This charming honeymoon cabin rental with pool access in Gatlinburg provides honeymooners with comfortable in-cabin amenities, a location near all the action of Gatlinburg, and a tranquil, wooded setting for added romance. 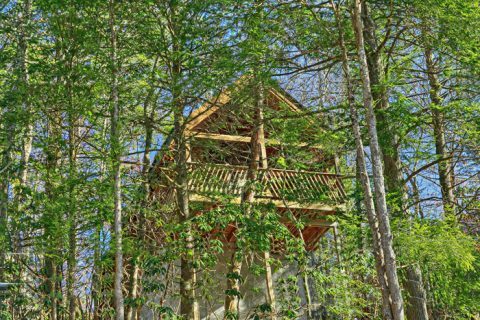 Escape to your honeymoon hideaway in Mountain Shadows Resort in the Smokies for a romantic getaway for just the two of you. Gatlinburg's "Lover's Lane" is also for anniversary couples wanting an affordable Gatlinburg cabin rental where they can rekindle their flame. 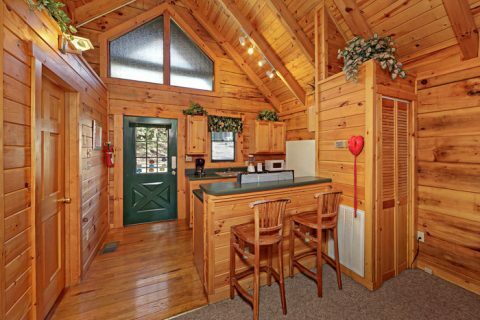 Your cabin in Mountain Shadows resort boasts an open floorplan. 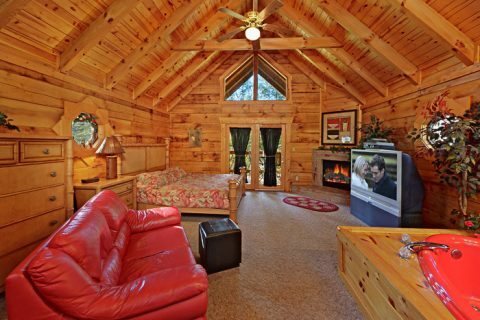 Enjoy curling up under the covers of your king-sized bed in front of the glow of the fireplace. 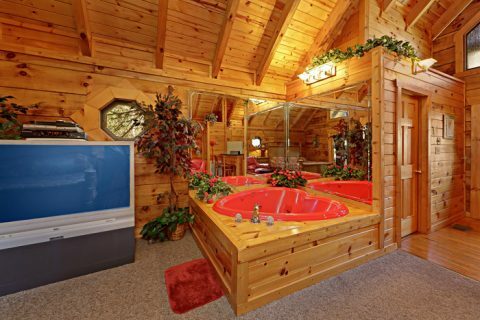 Take a relaxing bath in the heart-shaped jacuzzi tub or watch a movie on the couch. 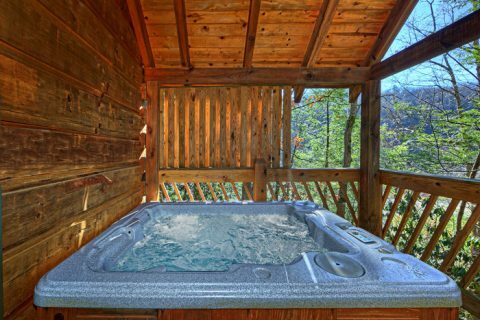 Outside, the hot tub invites couples to relax and gaze out on wooded mountain views. 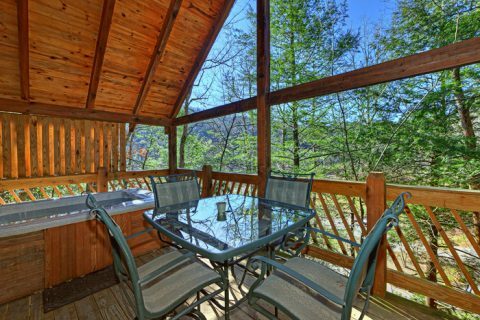 Prepare romantic dinners for two in the fully equipped kitchen and enjoy dining in the mountain air with the deck's patio table. 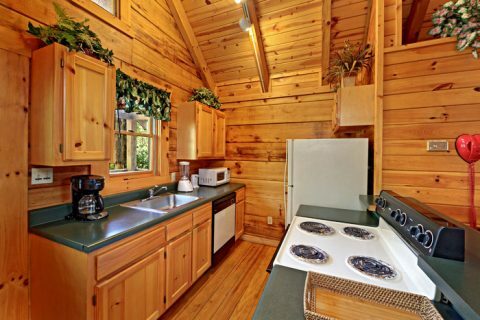 With wireless Internet access, you can make plans for your next day of adventure in the Smokies! 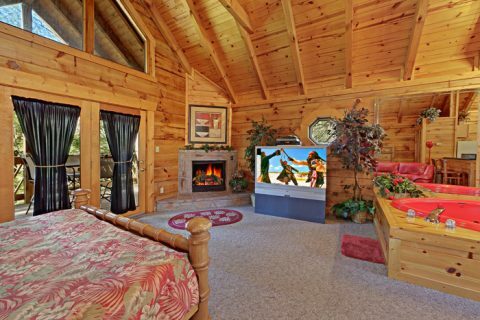 For any occasion where romance is in the air, we invite you to take a trip down Gatlinburg's "Lover's Lane. " 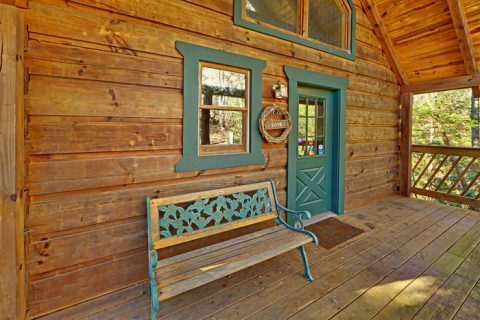 BOOK your honeymoon cabin rental with pool in Gatlinburg or another Mountain Shadows Resort rental ONLINE for immediate SAVINGS!